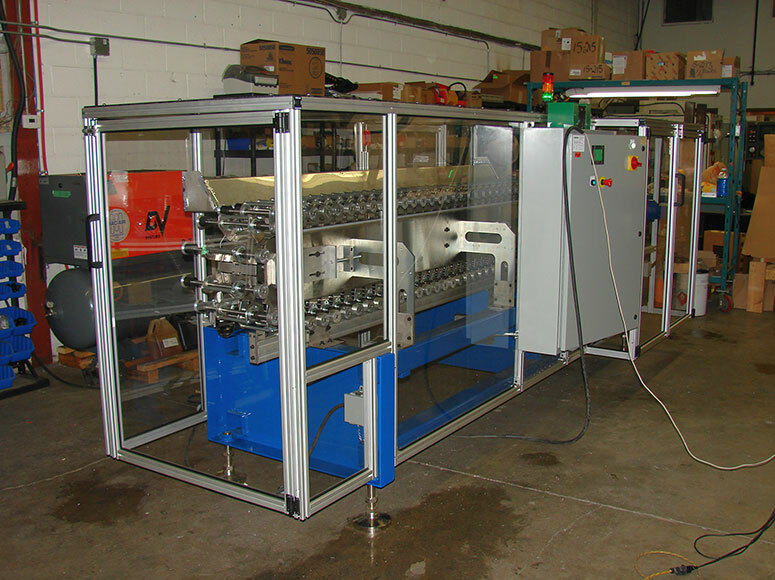 SPOKO Integrators Ltd. designed, built and provided fine tuned process for a custom machine applying Loctite Threadlocker on three types of automobile steering column lock nuts. 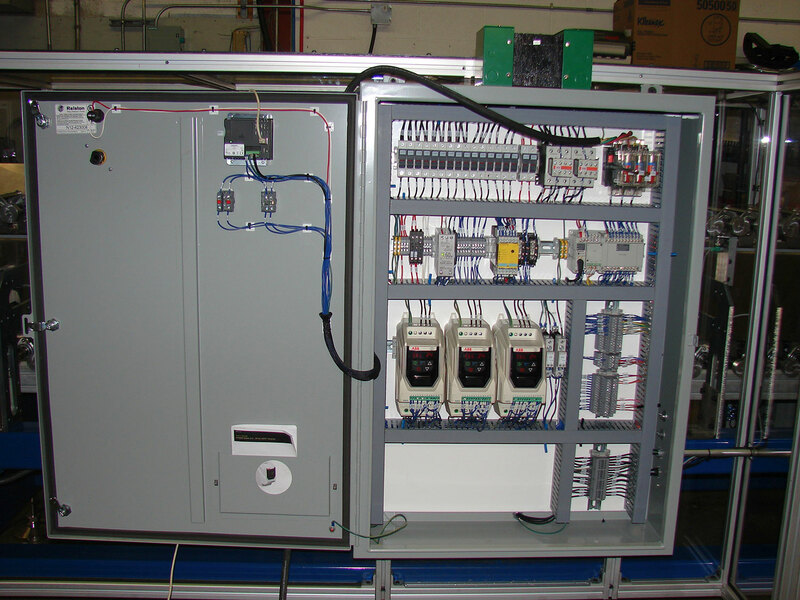 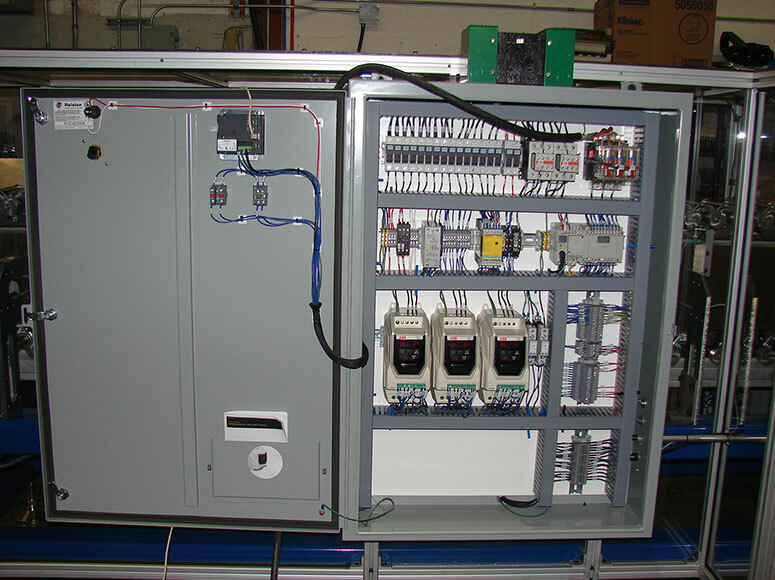 The system consisted of Panasonic PLC, HMI and three motors controlled by three VFD's. Main challenge in this project was to find the machine process settings that would yield in optimal application of the Loctite solution to a specified number of nut threads while controlling viscosity, application, and drying. 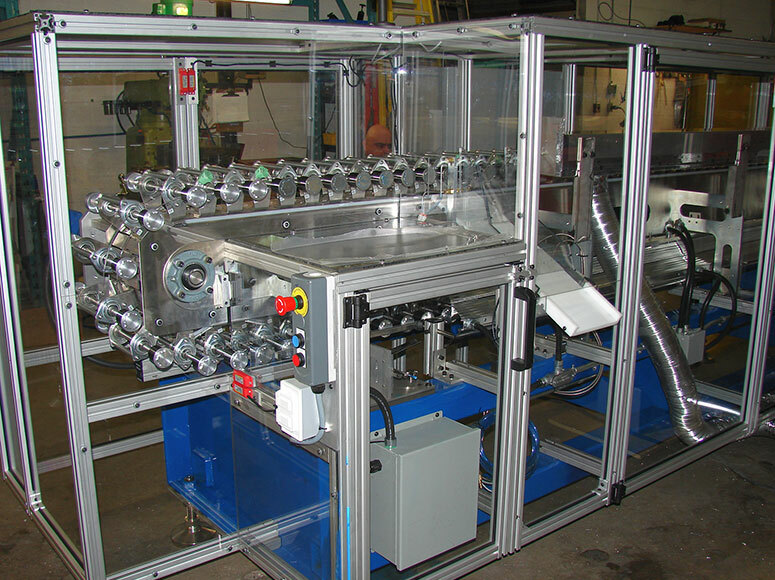 We performed thorough prototyping from our proof of conceptual design and built the assembly followed by fine statistical tuning of the process resulted in 1200 lock nuts per hour - coated dried and ready for packing.